The SRS-A1 maintains 1/2 MOA accuracy or better because it incorporates match grade (free-floated) barrels, chambers and crowns, an fully-adjustable match trigger, and a solid return-to-zero barrel mounting system. The SRS-A1 is the most versatile sniper system in the world.  With the ability to quickly change calibers, operators can change the rifle length, penetration, and distance capabilities based on mission requirements. Each conversion kit comes with a barrel, bolt, and magazine. Left-handed SRS-A1 also available.